When you think of San Diego, you might visualize beaches, nightlife, and great food. And although San Diego does have all of the above, it still has a lot of animal life in it. The most announced places to catch a glimpse of that are Sea-world and the San Diego Zoo. But those aren’t the only places where you can get a glimpse of wildlife. Children’s Nature Retreat is a nonprofit organization that is highly dedicated to nurturing animals from around the world. You can visit this animal sanctuary just 40 minutes outside of San Diego in Alpine, California. 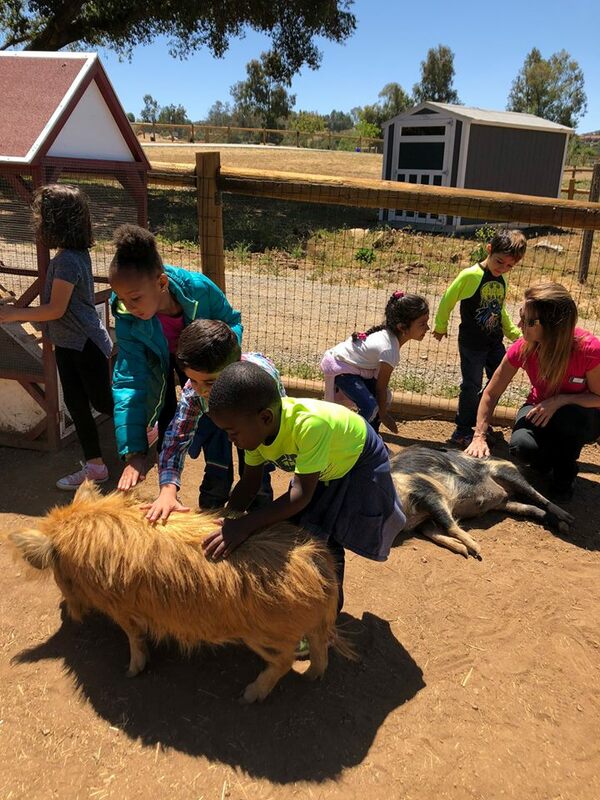 Animal interactions are the main focus when you visit Children’s Nature Retreat and is designed specifically to help children develop a taste for nature and the animals that wonder this Earth. Animal interactions between humans can create a special bond. The bond is not only physical, but it is also emotional and psychological. Research shows that a bond between animals and humans can increase positive behaviors with people with autism, fibromyalgia, cancer patients, seniors, and depression disorders. People that battle with depression and anxiety can reap benefits of curing loneliness and can lessen anxiety and pain. Children will also profit from having a relationship with animals. At Children’s nature Retreat, children are able to be educationally informed of all the different kind of wildlife and have an appreciation for sustainable farming, nature and the ecosystem. Apart from developing empathic and caring skills, children get to engage with them by feeding them and earning a sense of responsibility as well as staying active. They will become comfortable around animals instead of growing up afraid of them. Children tend to feel very lucky when they enteran animal’s space;they feel as if they were exclusively invited into an animal’s world. And if children learn to love animals, it opens the door for them to love nature, plants, and have compassion for people. about a 40 minutes east of San Diego. We are open for field trips during those days. Closed Thanksgiving Day and Christmas Day.